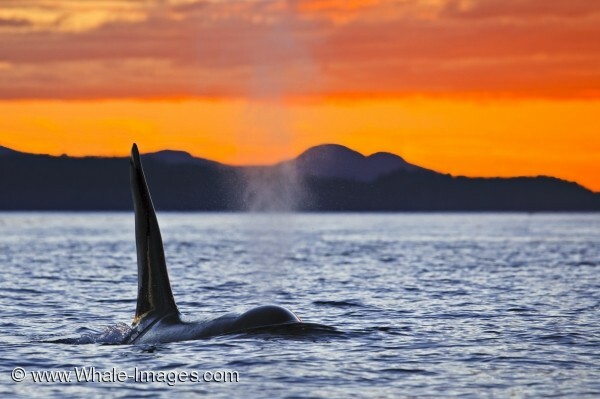 Order your quality photoprint of "Male Orca Weyton Pass Sunset Northern Vancouver Island" now! Photo of a male Orca surfacing in Weyton Pass off Northern Vancouver Island as the sky above is aglow in its sunset hues. "Male Orca Weyton Pass Sunset Northern Vancouver Island" photoprint!